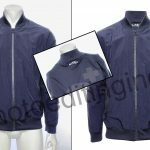 Clipping path is a technique used in professional image editing. In the process, a closed vector path is used for selectively keeping specific portions of the image and discarding the rest. It is a widely used process in the e-commerce sector due to its requirement of the key portions of the image for displaying on the web. 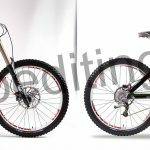 Clipping path with natural shadows is another technique to offer an aesthetic appeal to the image. This technique will help in the generation of shadows to a clipped path image thereby passing on lifelike and dimensional quality to the image. One of the key functions of this technique is the addition of natural shadows to the cropped images. The background is selectively removed first and a white background is added to the image in the clipping path process. Shadows are added to certain portions of the image for obtaining a natural look in the next stage of the process. 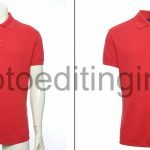 The addition of natural shadows is highly useful in clipping path service employed across many e-commerce services as well as in product photography, advertisements for both print and the web etc. 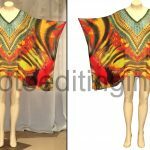 Clipping path with natural shadows provides the image with a certain depth, texture, and originality. The addition of natural shadows tends to mimic the properties of light and apply it to the elements of the image. The shadow is cast onto the surface where the object is placed. It effectively simulates the properties of shadow formation and is applied across the key property in the image. For product images, such e-commerce clipping path process will provide a clean and professional look to the image. Many professional photo clipping services offer clipping path by adding natural shadows. 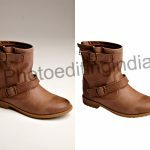 The importance of clipping path with natural shadows is highlighted by the fact the web has become a common shopping place for many users. They require quality and detailed images with natural texture and other light properties and the ones without any artificial illuminations. This enables them in better understanding the quality and looks of the product through the image. The clipped images of various products are offered with a sense of realism by adding natural shadows and it makes them appealing and presentable on the web. At Photo Editing India, we offer a diverse range of photo clipping services. We believe that the images must retain some of their natural properties without any distractions from the artificiality brought out by extensive image manipulations. Our in-house team contains several expert photo editors who are specialized in natural shadow addition and clipping path. Combined with the most modern software and hardware, our professionals will deliver images with precise editing and realistic features making them ready to present in any online platforms.